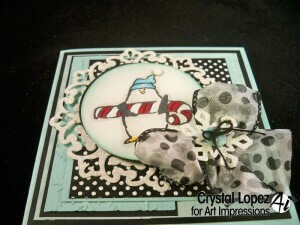 You are here: Home / Scrappy / Just Chillin !!!! 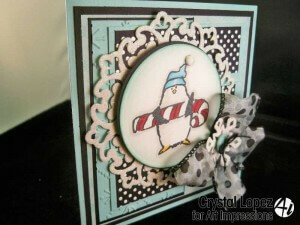 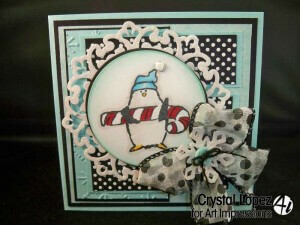 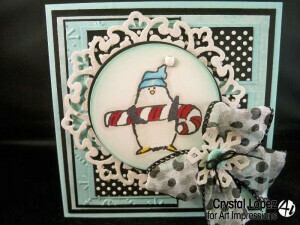 Today I am working from a set of adorable penguins Winter Penguins sku # CS3217 , this set is clear stamps and the stamp so crisp and clear , I chose the use this little guy holding the candy cane .You will see me use this set alot , they are just so stinkin cute !! !